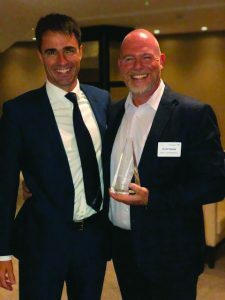 THE TRAVEL industry honoured one of Woking’s best-established businesses, Global Travel Management, naming it Business Travel Agent of the Year, 2018. 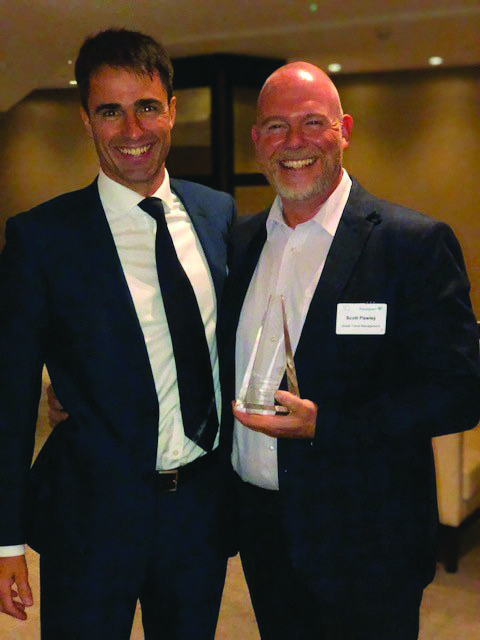 The family-owned business travel company was presented with the award at a ceremony hosted by the Advantage Travel Partnership, the UK’s largest independent travel agent group, with TV’s Mark Durden-Smith making the presentation to GTM’s Managing Director, Scott Pawley and Sales Director, Paul Baker. GTM, was founded by Scott and Natalie Pawley in 1997, has been a stalwart of the local community gives its support to a number of local youth groups via sponsorship and prizes. The new award adds to a string of awards received by the local company including previous recognition by Advantage, which it has been a longstanding member.